From Fantasy Suites to the five-hour finale, Bachelor Nation has cycled through every emotion under the sun. Finally this heap of garbage has come to an end (... for now) and we can eagerly await The Bachelorette this summer. Joining us for the finale — and returning to Bachelor Nation — is our contributor Jen K., who has a lot of thoughts about the final episode, and Minnesota gals. Kendall was let go after Fantasy Suites and didn’t shed a single tear being dumped... but sobbed through Becca and Arie’s break-up when she returned for the two-part finale along with Caroline, Bekah, Tia, and Seinne. Seeing how she was the most rational and mature contestant this franchise has ever seen, how would you feel about seeing our little taxidermist in Paradise. And which of those aforementioned ladies do you want to see join her? Alisa: I’d love to see both Kendall and her twin sister Kylie in Paradise. They’ve brought other non-contestants to Paradise before (specifically, Ashley I.’s sister), so they can do it again! Both those ladies were super mature, rational, and intelligent, and let’s be honest: anyone deserves a beach vacation after dealing with Arie in their house, eating their food, and being fake to their family. I’d also love to see Bekah and Caroline in Paradise. They would bring some hilarity and call everything like it is. I had really wanted Seinne to be the next Bachelorette before Arie did Becca so wrong, and so I’d definitely settle for seeing more of Seinne in Paradise. Maybe Peter could show up and they’d have a happily ever after? Rebecca: Kendall and Kylie would be the ultimate Paradise power duo! They can be our new twins, since Emily and Haley ended up being a little crazy. I’d love to see them lounging on the beach with margs and oversized hats, drinking the day away and being swept off on some fun, exotic dates with men who are 1000000x the man Arie was. To be fair, every single woman on this season of The Bachelor deserves to be in Paradise — it’s the least the producers could do for making them sit through that god-awful season. I believe Chris confirmed Bekah will be there, and I have a feeling Caroline, Seinne, and the rest of Becca’s girl gang will make an appearance. Jen K.: ... What’s Bachelor in Paradise? (Bear in mind, I’ve only gone here a week.) I’m here for Kendall in any way. The taxidermy freaked me out for a second, but everyone has a hobby! To each their own. I loved her attitude any time Arie brought up marriage (Dude, I’ve known you five weeks.) That is refreshingly rational, so I’d love to see more of her. I’d love to see more of Caroline and Bekah. Caroline was so protective of all the girls, especially Becca. Her “I know what you did” was so savage, so I hope we see more of her kind and compassionate heart. And I don’t get what all the hoopla was over Bekah’s age. She was the most articulate woman of the bunch. Chelsea: Kendall surprised me this season by being the most sane and rational human being ever on this show, which is sad because she said she’d try human flesh. I would be down for her and her twin Kylie popping up and owning Paradise. She was my favorite for Bachelorette and would keep all the other contestants sane on the beach. There are so many great girls who could show up in Paradise and I think the gang from the finale will all be there on day one. Of course I always want Caroline to show up and I would love to know more about her. She brought so much fire to the show when she got screentime. Seinne is also somebody I want to see more of, but I know she’s too good and smart for Paradise. Chris Harrison seemed to be hinting at her finding love, so if she does go to Paradise, I could see that. Many of us were spoiled about Arie changing his mind and going after the runner-up. What we didn’t know was that Arie blindsided Becca with the camera crew to break up with her after proposing a month earlier. Do you think we should have seen this break-up? Do you question his timeline of getting back together with Lauren? Will they make it last like Jason and Molly? Alisa: So like many people, I knew going in that Arie ended up dumping Becca for Lauren. But yeah, I definitely did not know it wasn’t an instant thing and that he led Becca on for weeks of engagement before doing the deed. I definitely did NOT need to see all of that filmed and I felt like it was in poor taste. I actually don’t blame the show or ABC — I don’t expect better of them. I put the blame totally on Arie. He had a choice and could have broken up with her privately in a normal, human way but he made the choice to bring a camera crew and go along with the lie that they were meeting up for a romantic couples weekend. That’s just wrong and I went from thinking Arie was just a dumb baby to truly believing he’s a narcissist/sociopath. And his callous disregard for Becca’s feelings and inability to express empathy both during the break-up and in the post-break-up interviews was truly astounding. He seemed to only care that he’d gotten his happily ever after and had complete disregard for the pain he’d caused Becca. I honestly wouldn’t be surprised if he and Lauren do make it last, simply because they are going to feel like it’s them against the world and that kind of mentality can hold even the most toxic relationship together. I hope Lauren is eventually able to see Arie for what he is and drop him like he did Becca to go live her best life. Rebecca: I agree wholeheartedly with Alisa. We know both the show and ABC exploit emotions for views and ratings, so the fact the break-up was aired isn’t a surprise. But what is a surprise is that someone could be so selfish and heartless to fake being in love with someone for weeks before finally getting the guts to break it off. And it’s cowardly that Arie chose to do it on camera. He is so self-centered and has absolutely no empathy. Arie really is not a very nice person, and I am so happy that Becca will have a second chance at happiness as the new Bachelorette. Jen K.: I walked myself backward into this firestorm, so I knew exactly what Arie did. It was still awful. I’m with you Alisa — he’s a narcissist with sociopathic tendencies. It was lies. ALL LIES. I do not understand why he had to film the break-up with Becca, but the phone call with Lauren was private. He knew, going in, that Lauren would take him back. He also knew we would find out when the episode aired. So, I don’t get the: “I have to see if there’s still a chance with Lauren” nonsense when he was breaking up with Becca. Arie is the kind of man who says what he thinks you want to hear so he can get whatever he wants out of you. Or, as the home visits showed, wiggle out of uncomfortable questions that are trying to nail down his slimy self. I am not remotely surprised ABC aired it. Every other television station would because that’s what television stations do. I’m not really expecting strong moral compasses from producers. However, I am flabbergasted why Arie believed it was appropriate to film it. His whole, “I wanted everyone to see I was the bad guy” schtick rang just as false as his assertion he didn’t know if Lauren would take him back. I truly believe he thought filming it would cast HIM in a better light. 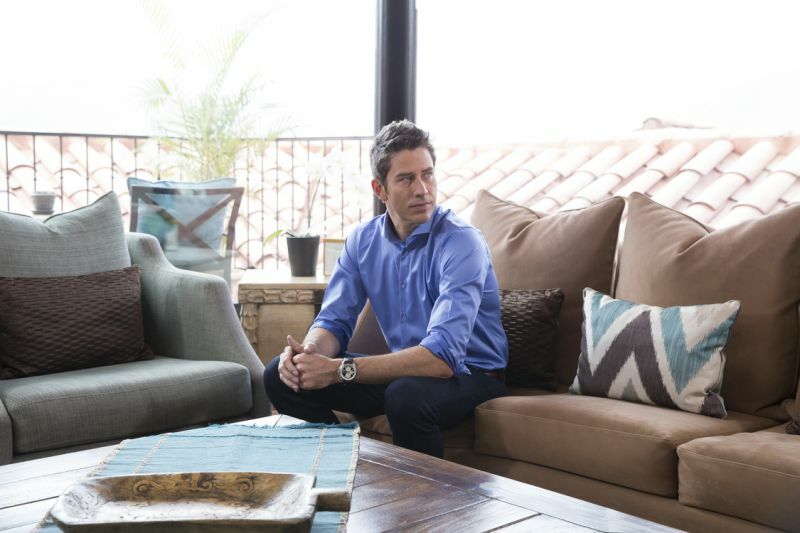 The entire break-up, particularly not leaving, was Arie trying to look like a good guy. His miscalculation was that it showed him for the narcissist he is, while Becca was strong and poised. Honestly, I want to give Lauren running shoes and a one-way ticket back home for a wedding gift. I think Lauren desperately wants to be picked. She wants to be wanted like we all do, which is why she took Arie back. It also seems like she hasn’t seen anything in regards to the Becca break-up. She is pretty isolated and only getting Arie’s side of the story. While he may not know how to race a car all that well, he can certainly tell a good lie. It’s going to go one of two ways: they break up reasonably soon or she stays with the guy, pops out a couple of kids, and ten years later realizes she’s married to a sociopath. It’s a toss-up. But in no way is this her happily ever after because you can’t get happily ever after with clinical narcissists. I am unconvinced Arie is faithful to Lauren now or will remain that way. Arie really wants to be married and have babies because he thinks that’s what he’s supposed to want. He wants to cover his narcissism by looking like a family man. The problem with all that is it really cuts into his sleeping around. Run, Lauren. Run. Chelsea: Like the other girls, I was spoiled a few weeks before Fantasy Suites, I think, but I wasn’t sure the extent of the switcheroo or how it all went down. Of course ABC would air the footage if they had to. It’s a huge ratings grab for a season that has seen ratings lows and they ultimately are a business that has to make money. Arie is garbage for calling the producers about the break-up and calling Lauren before the break-up to make sure she would take him back. If Lauren hadn’t given him that assurance that she’d return to him, I don’t think he would have broken up with Becca. I think all of us at home watching it felt every break-up we’ve ever had flash before our eyes. It was all very unfair to Becca who was ambushed and had no other choice but to stay graceful and composed since she was on camera. She kept looking for a private moment to grieve and he kept pushing the matter because everything has to be about him. I’m not sure if Lauren and Arie will make it, and I’ve been saying for weeks that he’s going to break her heart. Becca is officially our new Bachelorette, and it gave us the cutest moment of Caroline, Bekah, Seinne, Tia, and Kendall storming the couch to celebrate with her. How do you feel about her in the role after being dumped two months prior to the finale? Who is your dream Bachelorette? Alisa: So my dream Bachelorette had originally been Seinne because she’s super smart and way too good for this franchise. But after what happened, I don’t think anyone’s more deserving than Becca. And I think it’s fantastic that she has such a supportive squad rallying around her who will — hopefully! — be making appearances and cheering her on throughout her season. Those ladies seemed so genuinely excited for her even though it was obvious some of them were gunning for the title (looking at you, Tia). You don’t often see such a huge group of contestants become BFFs and it was a pleasant surprise this season. I think competing for such a basic Bachelor really allowed the girls to bond in a way that hasn’t happened before, and I’d really love to see a Girls Night Out-esque spin-off show with just a bunch of the coolest ladies hanging out and living life. Rebecca: Becca was not my favorite contestant but she’s objectively very beautiful, down to earth, intelligent, and successful. She definitely deserves this second chance at love. I agree with Alisa that we got such better female friendships this season (probably because they were competing for a cold ham sandwich). She has tough shoes to fill coming directly after Rachel, but I’m confident she’ll be a great Bachelorette. Jen K.: I watched to see what happens to Becca. Becca is the entire reason I binged from hometown to the finales and suffered that insufferable douchebag Arie. I truly don’t know how y’all did it week to week. I think how much the other women cared for Becca is a strong reflection of her character. She seems deeply kind, genuinely compassionate, and pretty darn forgiving. I am very much hoping she finds happiness on this crazy whirlwind called The Bachelorette. Chelsea: I feel good about Becca being the Bachelorette. She fits my minimum requirements of being a real employed adult with health insurance. She didn’t get a lot of screentime because of Krystal, Bekah, and other people creating more watchable drama, but when she was on screen she was very intelligent and funny. My dream Bachelorette was Kendall because she’s an adorable little weirdo that feels just right for this silly show. Seinne is way too smart for this franchise and needs to go run the world. And I really want Rebecca’s spin-off of all the cool ladies of this show hanging out and living life. We were introduced to five of Becca’s guys from the season before After the Final Rose ended. Who was your favorite? Who needs to be recast immediately? Alisa: LINCOLN. Oh my goodness, he was so adorably nervous and seemed the most genuine of all the guys they introduced. Plus, super hot and that accent! If Becca doesn’t choose him in the end, I think he needs to absolutely be the next Bachelor. The rest of the guys just kind of blurred together after that. I remember there was one that was too tan with teeth way too white who was kinda smarmy and named Chase or Chad or Chance or something, and I did not like him. He can be sent home immediately. The guy who brought the horse in seemed sweet but I’m always wary of the contestants with props. Sure, it makes you memorable but the best people are memorable all on their own. Like Lincoln. Rebecca: Lincoln is a literal puppy dog and I adore him. He was so nervous, it was absolutely adorable! He seems super genuine, and his looks and accent certainly don’t hurt! Honestly, I don’t remember any of the other guys except that one of them brought a horse, which I thought was corny and adorable. If Becca doesn’t choose Lincoln, I think Just About Write needs to be credited with starting the #LincolnforBachelor campaign. Jen K.: Becca needs to marry Lincoln. I don’t think we really need the whole Bachelorette show. I’m ready for the wedding. Chelsea: I literally only remember Lincoln and he either needs to marry Becca or become the next Bachelor. My dream is actually for Peter to pull a Nick and show up half-way through the season to win Becca’s heart — except he actually gets engaged to her and Lincoln becomes the Bachelor. I should just produce this show. Any last thoughts about the season? Alisa: I’m so glad it’s over! This was not a pleasant journey and it is a testament to my undying love for Chris Harrison that I stuck it out the whole way through. Please, let’s never see Arie’s face on this franchise again. Rebecca: Arie is garbage; Chris Harrison, Just About Write, and the Bachelor ladies were the only reason why I got through this season in one piece. I think we should take a note from Minnesota’s book and ban Arie from the country. Jen K.: The last time I watched The Bachelor was in season two. That’s right. I suffered through Alex Michel and Aaron Buerge. Yes, I am that old. Honestly, The Bachelor seemed reasonable with their six-week time frame compared to the hot mess that was Who Wants to Marry a Millionaire? Quite frankly, Arie fits right in with those bozos, which is why I stopped watching. Give a man a harem of 25 women and they think they're God’s gift to women. I remain quite skeptical that any of these bachelors truly want to get married. (I probably need to binge a season where one actually does and I’ll be less bitter). The last time I watched The Bachelorette was season one with Trista Sutter. I did it all. The Bachelor to The Bachelorette to Trista and Ryan’s wedding. It was great. I went out on a high note. But now I’m emotionally involved and have to see what happens to Becca, so I’m diving back in. Hopefully it goes as well for Becca as it did for Trista. Chelsea: They need to not air The Bachelor Winter Games during a season of The Bachelor next year. It adds like 12 lifetimes to the season and we didn’t even have time to get invested in the Winter Games. Casting really crushed it this year with their selection of ladies. Producers, cast better than Arie for next year. We’ve suffered through three seasons of Bachelors with personalities that are worse than watching paint dry. Let us live!